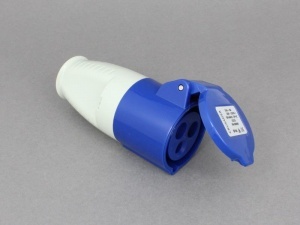 3-pin, 240V mains hook-up site socket (also known as a caravan coupler) used for connecting to mains hook-up plugs. Contains rubber cable sealing-gland, is CE marked and is weatherproof to IP44. 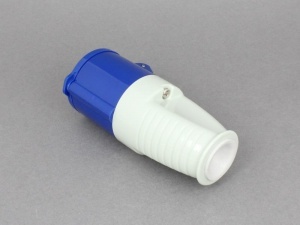 Suitable for caravans, campervans, horseboxes, motorhomes etc.